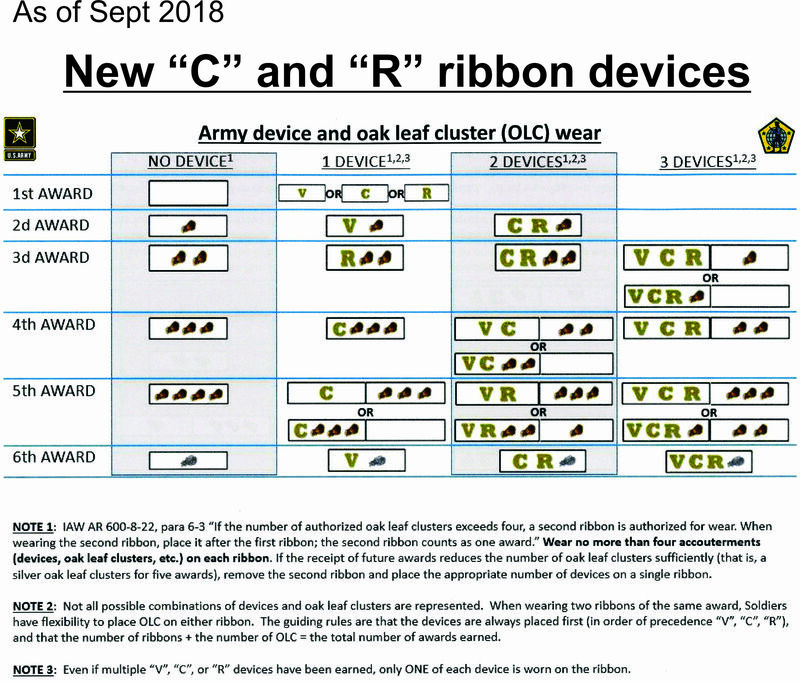 Current edition includes the old Army Greens for transitional purposes only. Next edition will not include the Greens. These changes will appear in the next printed edition. New Enlisted E4-6 Women’s Service Dress Blue Jumper: Rating Badges and Service Stripes are worn same as described for the White Jumper. 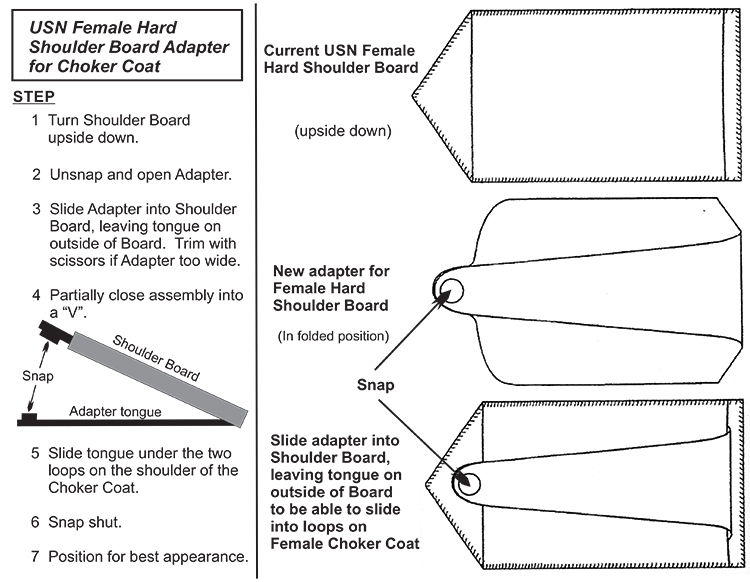 Current Navy Uniform Guide covers this. 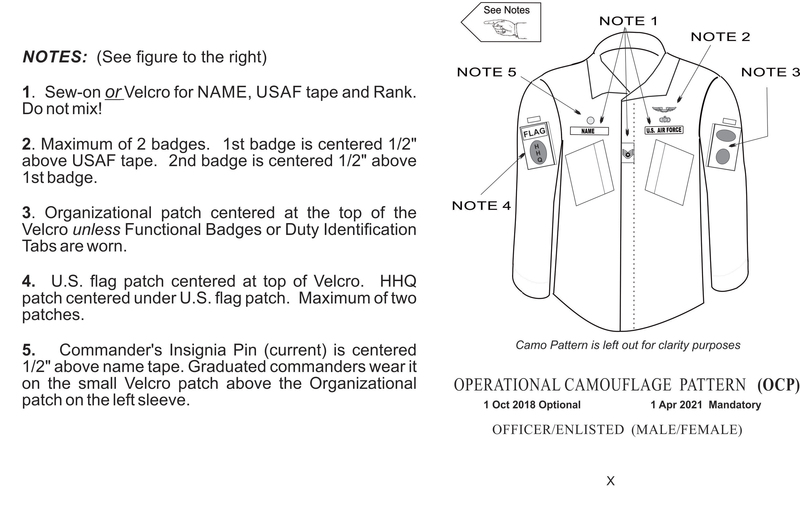 New CWP (Cold Weather Parka): metal rank insignia is worn centered on rank tab on chest front. NWU Type I Blues go away and replaced starting 1 Oct 2017 by new NWU Type III OD Green: In addition to items worn on the old uniform, the DTOM Patch(centered on left arm pocket flap Velcro pad) and Reverse Flag (centered on right arm pocket flap Velcro pad) are authorized. The new Inherent Resolve Campaign Medal is worn immediately after the Iraq Campaign Medal and immediately before the Global War on Terror Expeditionary Medal. 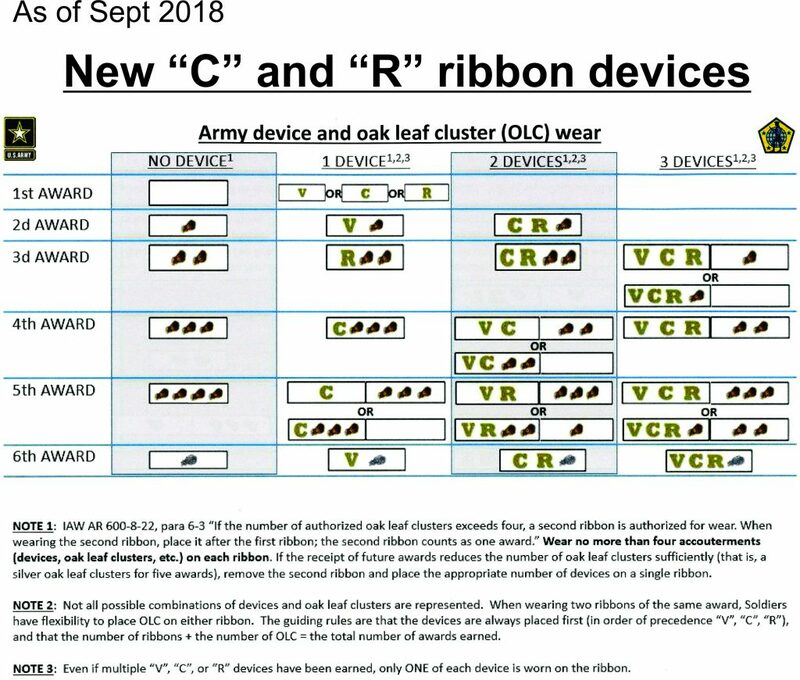 The new Inherent Resolve Campaign Medal is worn immediately after the Irag Campaign Medal and immediately before the Global War on Terror Expeditionary Medal. The new Afghanistan and Iraq Campaign Medals are worn respectively after the Kosovo Campaign Medal and before the Global War on Terror Expeditionary Medal. 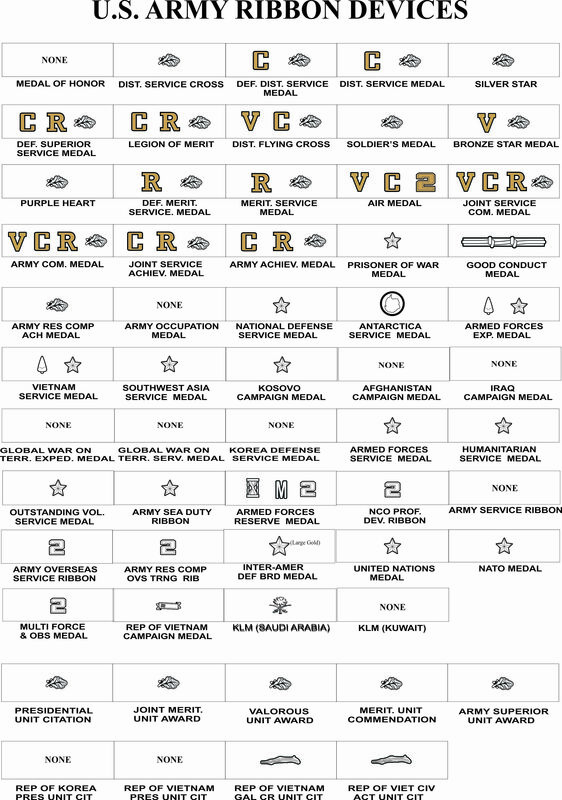 Service stars are authorized on these medals. The new Global War on Terrorism Expeditionary Medal and Global War on Terrorism Service Medal are worn respectively before the Korean Defense Service Medal and after the Iraq Campaign Medal. Service stars are authorized on these medals. The new Korean Defense Service Medal is worn after the Global War on Terror Service Medal and before the Armed Forces Service Medal.